The numbers of mobile phone users especially smartphone users are increasing rapidly in Bangladesh. Almost all the popular smartphone and mobile brands are now available in Bangladesh offering there latest mobile models. 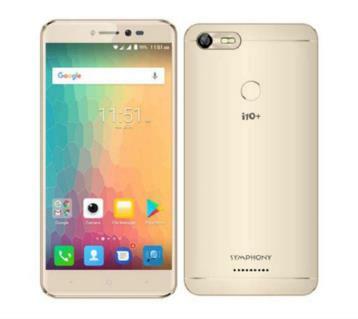 Among them, Symphony is really the leading mobile phone seller for offering exclusive mobiles within mass people’s budget while meeting their continuous demand. Symphony phones are always people’s choice. AjkerDeal has made it quite easier to find and buy the latest Symphony Mobile in Bangladesh. Symphony is a brand of Edison Group and was introduced at the end of 2008. Without any doubt, Symphony is the fastest growing mobile phone brand in Bangladesh. They are continuously working on bringing the newest features with an aggressive pricing strategy and demandable styling. They also offer a strong after sales support which has made them one of the most dependable handset brands. With hundreds of models, Symphony is now the leading mobile handset manufacturer here. From normal TFT display to android touchscreen display smartphone, Symphony is unbeatable. At AjkerDeal.com you can find all the latest Symphony Mobile in Bangladesh. You can find the best deals on Symphony mobile price in Bangladesh at AjkerDeal. We have the latest Symphony mobile phones with the details specification, features, and prices. We always keep up to date with the latest released devices regularly so; don’t forget to check out the latest offers from Symphony smartphone. You can also view photos, reviews, public opinions, full specifications, and related phones by clicking through to the specific Symphony mobile pages. Especially Symphony has won the heart of thousands and thousands of smartphone lovers by continuously offering budget phones with latest features. Their smartphone collections are always the best and exclusive. Let’s have a detail look on various smartphones from Symphony. These smartphones are really popular in Bangladesh. Symphonies V75, Symphony V85, Symphony V49, and Symphony V100 etc. are the most searched mobiles from Symphony V Series. Symphony V75 runs by Android Marshmallow 6.0 and 1.3 GHz Quad-Core processor. Featured with Corning Gorilla Glass 1 and 1 GB RAM & 8 GB ROM Symphony V100 is offering a very low price. Symphony V110, V32, V120 is some other popular mobiles of this series. Smartphones of this series are offering better features with discounted prices. Symphonies H400, Symphony H300, Symphony H120 are the most popular mobiles in this series. Symphony H400 comes with 13MP primary and 5MP front camera for selfies. Symphony H300 offers a strong battery life with 2500 mAh Li-ion Battery. Symphony H120 packs 5” IPS HD Display while running with Android 5.1 Lollipop operating system. Symphony I series mobiles offer style and precision. Symphony i50 is powered by 1.3 GHz Quad Core processor and 8 GB ROM + 1 GB RAM. Running with Android Marshmallow 6.0 operating system Symphony i20 comes with the very low budget. 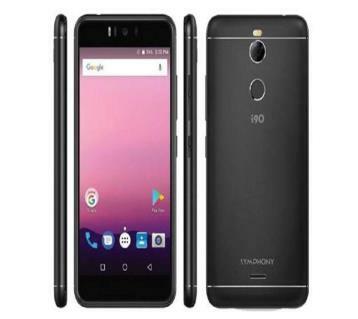 Symphony i25, i21 are other popular Symphony Mobile in Bangladesh. Symphony P Series mobiles are well known for their updated features and stunning outlook. Symphony P6 Pro offers Smart Remote Controller and G-Sensor, Light Sensor, Proximity Sensor, IR Sensor. Symphony P7 Pro comes with an incredible camera and outstanding features all in one. Also, check out Nokia mobile price in Bangladesh. These smartphones are budget phones. Symphony E58, Symphony Roar E80, Symphony E82 all are offered at a very low price but with all the features of a smartphone. ‘’Symphony Mobile’’ has earned serious popularity and reputation due to their updated device categories and best competitive pricing. In Bangladesh, people want to use the updated smartphone features while accessing the highest warranty and low price. Symphony mobile handsets are of world-class design while technologically improved. Secure best discounts on Symphony Mobile Price in Bangladesh at AjkerDeal.com. The main drawbacks of Symphony Mobile are that their build quality and durability are not as good as like the top giants such as Samsung, Apple, Sony, Xiaomi or Nokia. Moreover, it often lacks extensive tweaks, features, shortcuts etc. But this is the main reason why you might get a Symphony smartphone with decent enough performance and features at a much low price tag. Are you looking to buy Symphony mobile and searching for the best deals on Symphony mobile price in Bangladesh? AjkerDeal.com offers the widest collection of Symphony mobile in Bangladesh. We have the largest variety of Symphony smartphone in our store from where you can easily find out your desired Symphony mobile at an attractive price. If you pay through Bkash you will get further discount on Symphony mobile. We always provide an authentic product to our customers, so that you can easily trust. You will also get a service warranty along with Symphony mobile phone purchase. How to Get Best Discounts on Symphony Mobile Price in Bangladesh? AjkerDeal the largest online e-shopping site in Bangladesh features the entire latest Symphony Mobile in Bangladesh. AjkerDeal has made it quite easier to search for the desired Symphony Mobile Phone online and purchasing it with the best price deals. Buy original Symphony smartphones with warranty and relevant replacement policy. We have also Cashback and 0% EMI offers available for several Symphony phone in Bangladesh. At AjkerDeal you can also find Symphony Mobile Accessories, Battery, Charger, Headphone, Memory Card, and Flip Cover & Power Banks with the lowest price offer. Do not forget to check our Mobile phone category to find exclusive mobile phones from other reputed brands. Also find other popular mobile phones from the most reputed brands like Xiaomi, Huawei, Sony Xperia and others as well. Happy Shopping with AjkerDeal.com! Also, check out iPhone 7 price in Bangladesh at AjkerDeal.com!